Extremely high-performance blower with exceptional blowing power. Powerful Backpack Blower perfect for your heavy-duty ground care and landscaping needs in areas such as schools, resorts, sport stadiums, road sides, paths and public parks. Ideally suited to clearing grass clippings and any other foliage. 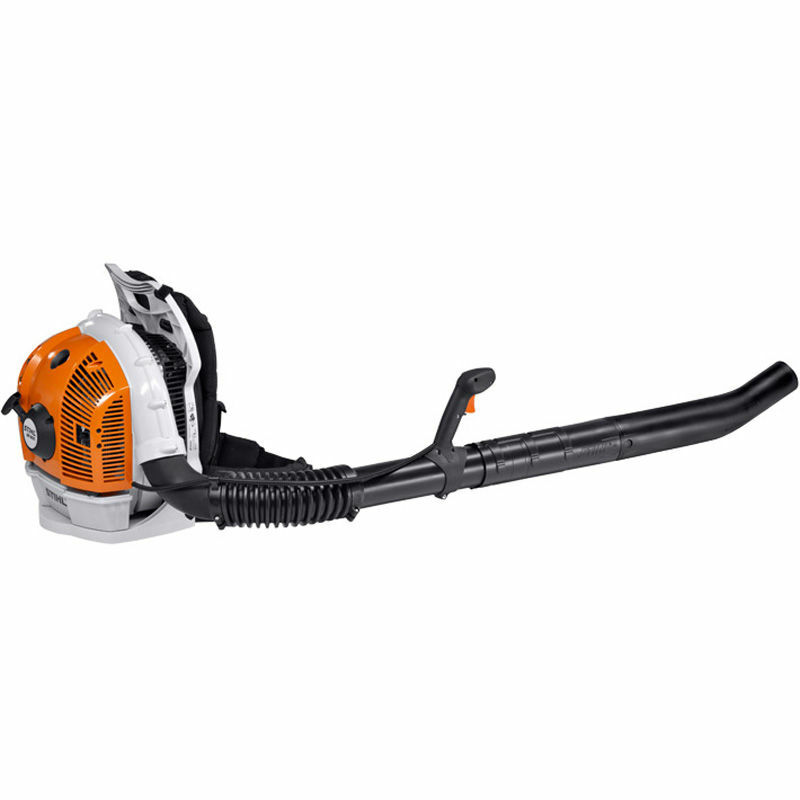 Rubberised 2-component handle, STIHL anti-vibration system, 4-MIX engine, wide, ergonomically shaped shoulder straps, automatic start/stop button, 3-stage latching position to lock air stream and carry handle.